A Denver man who shot two boys — killing one and paralyzing the other — when they attempted to steal marijuana from his yard was “at best mean and at worst evil,” a prosecutor said Wednesday before the man was sentenced to 80 years in prison. 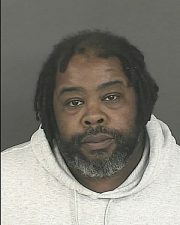 Denver District Judge Kandace Gerdes sentenced Keith David Hammock to the maximum 48 years in prison for second-degree murder in the death of 15-year-old Keylin Keith Mosley and 32 years in prison for first-degree assault in the wounding of 14-year-old Josiah Britton. The sentences will be served consecutively. Other sentences for charges including attempted second-degree murder and illegally cultivating marijuana will be served concurrently with the primary charges, Gerdes said. Before giving her recommendation for the maximum penalty, Chief Deputy District Attorney Bonnie Benedetti said Hammock set up a virtual hunting blind from his second story window at 2830 High St. to protect his illegal marijuana plants. He also attached bells to the plants to alert him to intruders. Hammock didn’t flip on a light, yell at the boys or even shoot his gun in the air to scare them away when Keylin and Josiah climbed over his back fence, Benedetti said. Before his sentencing, Hammock expressed condolences to the families of the two boys, but then denied his guilt. “I, Keith David Hammock maintain my free-standing claim of actual innocence. … I did not shoot either of them,” said the bearded and balding Hammock, who glared at the families of victims throughout the hearing. Hammock, dressed in a green jail jump suit, said he was the real victim and castigated the judge, his public defenders, detectives and prosecutors for everything from incompetence to bias and vowed to appeal the verdict. Mosley’s cousin, Salina Mosley, 46, apologized to the court that her cousin broke into Hammock’s backyard, but said it was the crazy antics of a teenager, who laughed while climbing Hammock’s fence, moments before he was killed. “Keylin was not trying to kill. Mr. Hammock judged Keylin. He lied on Keylin and he shot Keylin,” Mosley said. Mosley testified, in part, because Keylin’s mother couldn’t bear to see the man who killed her son. During a lengthy diatribe, Hammock said his attorneys were ineffective, Judge Gerdes was biased against him and prosecutors manufactured guilty verdicts even though he should have never been charged. He said he is innocent on many legal principles including Colorado’s “Make My Day” law and his right to defend himself. But he also claims someone else shot the boys and denies he entered the backyard that night. Hammock added that police should go after the true perpetrators. “I am a reasonable person who is not violent…Just ask my jailers at the Denver jail,” he said.